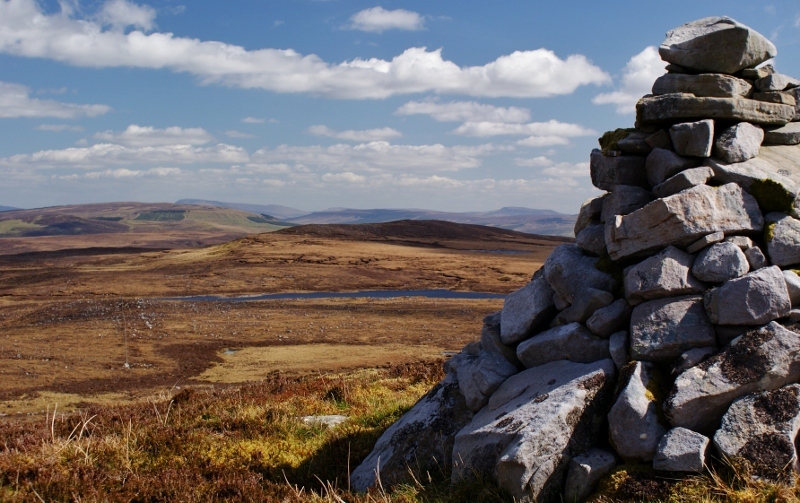 Aganny Top is the 617th highest place in Ireland. Picture from group : View N over L Aganny from the unmarked, uninspiring high point. Picture: View N over L Aganny from the unmarked, uninspiring high point. Aganny Top is bang in the middle of a wonderful plateau surrounded by steep escarpments and deep glens. It is not too much of a stretch to complete a walk over this plateau and its 5 separate summits, which is what I did of course! Starting from St Michaels church (803503 P) and making use of the copius parking, a steep ascent brought the summit of Keeloges and stunning views across Gleanade to the neighbouring plateau with Truskmore and Tievebaun. A significant drop and reascent brings Arroo with more stunning views across Donegal Bay to the mighty Slieve League and the Bluestacks. But back to Aganny Top.....drop from Arroo and follow the plateau as it undulates on good ground of short heather and stone, with peat hags in the shallower ground. 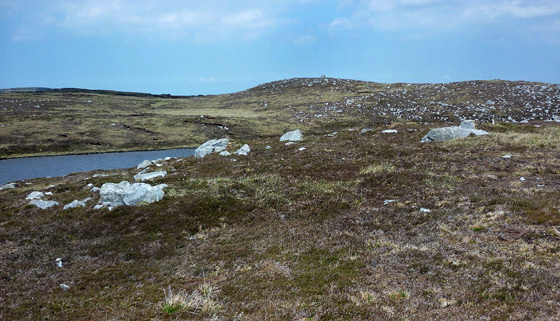 Pass a little cairn and the remains of an old comms mast and a small unnamed lough below. A rise brings a cairn and are suddenly introduced to Arroo Lough, a beautiful and peaceful setting with shelter from a keen wind and the sound of water gently lapping. The odd fat bumblebee passing as walked the shore to cross a fence by way of a stile. 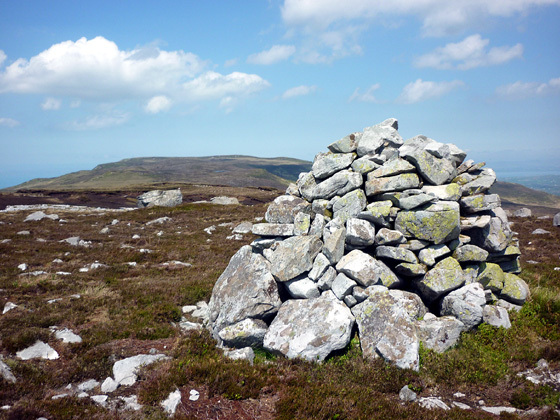 Another cairn sits on a rise beyond the lough. Followed a stream for a short time and walked easily through big peat hags to reach a beehive cairn just before Lough Aganny. As i sat in lee of the cairn in warm sun, watching the sparkling waters of the lough and the clouds getting smaller and smaller from the greyness of the morn, my eyes roved N to Arroo, Bluestacks, Slieve League rising out of the Atlantic...W to the upper halves of Tievebaun and Truskmore, the Ox Mtns and around to the Briefne Hills and the Sperrins beyond.